Well guess what? It did! I was in a very UNhealthy relationship. 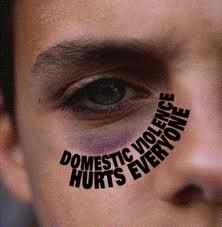 I dealt with alot of verbal abuse, got physically pushed around and knocked down. I allowed it! In my head, being with him was better than nothing. It took me quite a while to figure out that this WAS not the case. The last straw, you ask!? Being punched in side of my head (cheekish earrish area) like I was a dude. His family saw it go down and did NOTHING!! Hell yea, I fought back! Didn’t do too much damage, but I did what I could. After all was said and done, I played my cards right, drove away from him AND that relationship! !